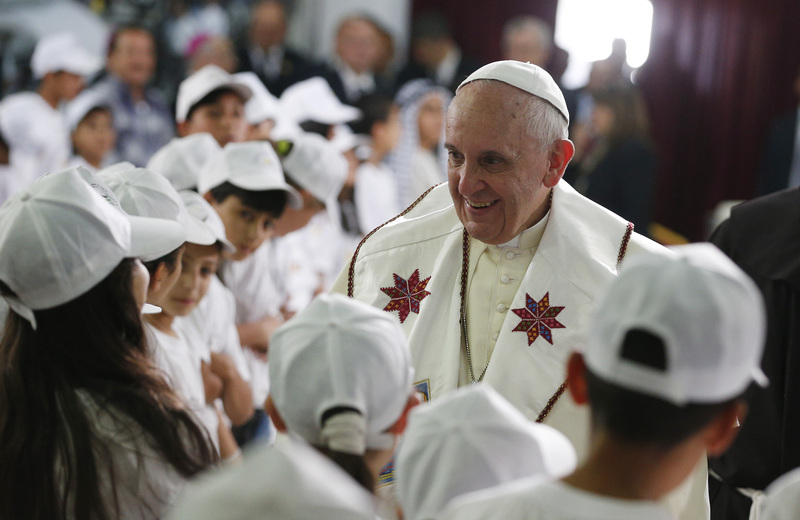 Pope Francis spent the last morning of his three-day pilgrimage to the Holy Land meeting with Muslims and Jews and calling for closer relations among the three major monotheistic religions as the basis for peace in the region. At his first appearance on May 26, Pope Francis toured the Dome of the Rock on the Temple Mount, sacred to Muslims as the place from which Mohammed ascended to heaven, and spoke to Muslim leaders. Addressing his listeners as "brothers"—rather than "friends," as indicated in his prepared text—the pope pointed to Abraham as a common model for Muslims, Jews and Christians, since he was a pilgrim who left "his own people and his own house in order to embark on that spiritual journey to which God called him."